The recently leaked diplomatic exchange between United States Assistant Secretary of State for European and Eurasia Affairs Victoria Nuland and US Ambassador to Ukraine Geoffrey Pyat is more than just another embarrassing revelation of how Washington values democracy or conducts its foreign policy. The bugged phone conversation, uploaded in the form of a video on Youtube under the name “Maidan Puppets” (referring to epicenter of the opposition movement) bluntly demonstrates the lack of any unified approach by the West in finding a viable solution to Ukraine’s political crisis (not to mention mounting economic problems) which could help to offset the country’s growing dependence on Russia. The apparently stark divergence in interests was best made clear when Nuland was recorded saying “f**k the EU” while speaking with the American Ambassador. The two diplomats further discussed how key opposition leader Vitaly Klitschko, who was offered the position of deputy prime minister by Yanukovych, has no place in a potential new government. Aside from making clear the US’s overall position on the EU’s role in Ukraine as a political entity, the conversation reflects secondary intentions of the US to undermine Germany’s influence within the Ukrainian opposition. Among EU member states, Germany has perhaps the strongest ties with the Ukrainian opposition. Channeling funding through the Konrad Adenauer Foundation, Berlin has built up substantial ties with the German-educated Klitschko, whose Ukrainian Democratic Alliance for Reform party’s main goal is to integrate Ukraine closer to Western structures. 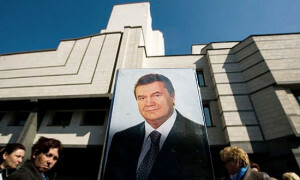 Regardless of US intentions, Yanukovych continues to hold his ground, giving the timing of the leak added significance. The Ukrainian crisis has already undergone a substantial transformation, most importantly in terms of outside perception. 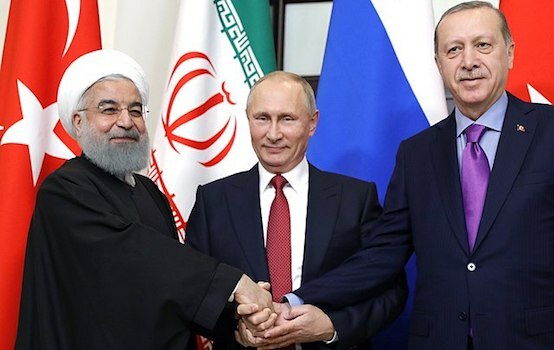 The leak can thus be seen as an attempt to build off of the opposition’s currently weak position by sowing discord between the opposition leaders and their Western partners who now appear at odds with each other over how best to resolve, if even approach, the increasingly divisive crisis. Taking a step back, it is hard to imagine that Yanukovych did not fully anticipate a strong reaction after the Ukrainian Parliament passed highly controversial anti-protest laws on January 16, especially from the more radical elements. But in doing so, the focus of the protests, which began when Yanukovych failed to sign landmark cooperation agreements with the EU during the third Eastern Partnership summit in Vilnius late last year, has shifted from the more strategic issue of the country’s foreign policy course to issues more concerned with domestic policy. Already many Ukrainians, whether active protesters or those supporting from the sidelines, have conceded the issue of EU integration, claiming the protests are instead purely driven by general disconnect with their government’s performance at home. 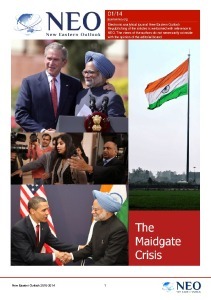 Nonetheless, the Western media’s narrative of the situation has remained largely unchanged. Following every stone and stick thrown, the West remains ready to condemn the government at every opportunity while presenting the “regime” as tinkering on the verge of collapse amid persistent unrest, which, so the story goes, Yanukovych is solely responsible for. It is thus clear that any use of force, however limited or justified, will be immediately condemned by the West and depending on the scale, would lead to calls for sanctions against the Ukrainian government. Such actions would only further drive the government closer into the arms of the Russians. Upon closer inspection, we observe a government that has been remarkably restrained in dealing the protestors, even engaging in negotiations with opposition leaders and offering serious political concessions. Under such conditions it would have been seriously unwise for Yanukovych to help strengthen the opposition’s “dictator” narrative by violently cracking down. The use of heavy handed tactics in response to the protesters, even if rioting and breaking into government buildings, would potentially exasperate the situation and play into the opposition’s hands. Such restraint should be seen as part of a larger strategy of buying time while the opposition fractures and runs out of steam; the public grows tired of the general unrest, and finally, as Western support unravels. Rejecting Yanukovych’s political concessions, opposition leaders meanwhile remain resolute in their demands for total leadership change. Relying on the momentum of the protesters can hardly be viewed as strong strategy and the opposition leaders clearly lack a clear vision as how to deal with the wide ranging ramifications their country would likely experience upon taking power.As negotiations continue, the concessions achieved thus far, such the revision of the notorious anti-protest laws and the resignation of Prime Minister Nikolay Azarov and other cabinet members will likely be viewed as a victory by the part of the opposition most willing to peacefully resolve the crisis. Even so, the acceptance of these concessions would ultimately fall short of the original reasons behind the demonstrations: the government’s decision to turn its back on closer ties with the EU and instead opt for a Russian economic bailout, which included substantially discounted natural gas imports. This shift change, brought about by the government’s actions, also comes against the backdrop of rising challenges within the EU. With the economic crisis in Europe deepening, EU is in clearly in no position to expand in membership (which by many accounts is already over extended). Such a reality weakens the overall efficacy of the EU’s preliminary integration projects such as the Eastern Partnership Initiative (EaP). This, in turn, generates a false sense of hope, often with dangerous consequences, within aspiring member states. Even under more ideal economic conditions, any future discussion of EU membership status for Ukraine would come up against intense internal and external opposition. Perhaps the most significant element in the Ukrainian crisis has been the participation of ultra-nationalist and far-right groups. While clearly playing a central role in challenging Yanukovych, their involvement has at the same time raised eyebrows in Western capitals, as it underscores the EU’s dilemma in remaining open to new nations even as the Union experiences a steady increase in support for far-right parties and a rise of intolerance and anti-integration sentiment as a result of skyrocketing unemployment and other internal socio-economic factors. Where Brussels and Berlin were previously able to pay lip service to pro-EU protesters in Ukraine late last year, many now see the EU project’s worst nightmare potentially manifesting on its doorstep. In recognizing the apparent recklessness of the EaP, especially in terms of Germany’s economic and energy ties with Russian, many questions are now being raised. Such strategic considerations were perhaps best summed up when barely a day in his new job, Gernot Erler, Germany’s new chief of relations with Russia and countries of the Eastern Neighborhood told journalists in Berlin on January 30 that the EU was wrong not to have analyzed possible conflicts with Russia before offering the so-called Eastern Partnership to countries like Ukraine.